Pure Barre Open House | Free Classes! 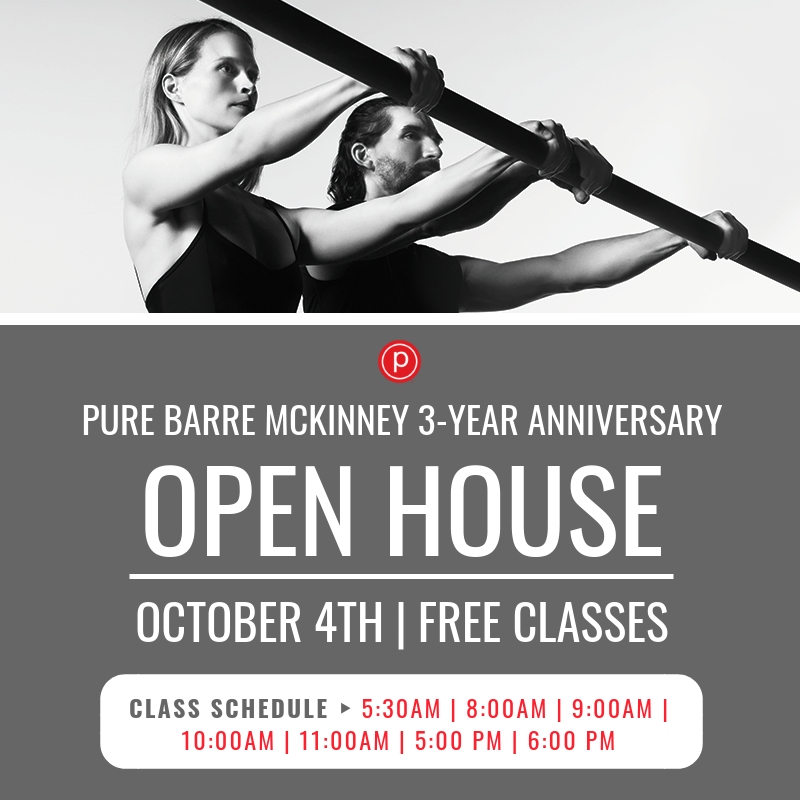 Pure Barre McKinney is turning 3! Join us at Pure Barre McKinney on Thursday, October 4th for FREE classes and giveaways all day long in celebration of our 3-year anniversary. New to Pure Barre? Learn more about our technique and how you can rock your first class here: http://bit.ly/2mQa14K. Questions about our open house event? Email us at mckinney@purebarre.com. See you at the barre! Pure Barre is an intelligent exercise. The technique protects your joints as it does not involve any bouncing or jumping. Each strength section of the workout is followed by a stretching section in order to create long, lean muscle without bulk. The workout launches a full blown attack on the areas of the body all women struggle with: abs, hips, seat and arms. It defies gravity by tapering everything in and lifting it up.